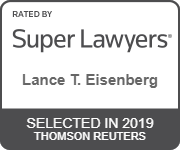 Lance Eisenberg joined Berkowitz Lichtstein as a partner in 2013 after being associated with two of the nation’s largest law firms. 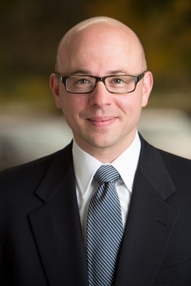 He devotes his practice to the areas of estate planning and administration, fiduciary counseling and litigation, and tax-exempt organizations. Lance assists clients with the development of estate plans that meet their personal and financial goals. His counseling on personal issues routinely involves advice on complex family situations, asset protection, business succession and philanthropy. Lance uses simple and complex gift and estate planning techniques to transfer wealth while minimizing the federal and state tax consequences. He has experience preparing a full range of estate planning instruments, including wills, revocable “living” trusts, life insurance trusts, dynasty trusts, grantor retained annuity trusts, qualified personal residence trusts, charitable trusts, shareholders’ agreements, limited liability company and partnership agreements, prenuptial agreements, durable powers of attorney and advance directives for health care. In addition, Lance represents beneficiaries and fiduciaries (executors, trustees and guardians) with respect to the administration of trusts and estates. His administration practice includes handling probate proceedings; drafting disclaimers and agreements regarding post-mortem planning; preparing gift, generation-skipping transfer, estate, and inheritance tax returns; defending estate and inheritance tax audits; and preparing documents necessary to effectuate interim and final distributions from trusts and estates. Lance has also worked on a wide variety of trust and estate litigation matters, including formal accountings, will contests, guardianships, and actions for construction and reformation of trusts and wills. He has participated extensively in the resolution of these disputes through mediation and other alternative dispute resolution mechanisms. Lance has also obtained favorable private letter rulings from the Internal Revenue Service. For clients seeking assistance with tax-exempt organizations (private foundations and public charities), Lance forms nonprofit corporations and prepares federal applications for tax exempt status, state charitable registration filings and state applications for sales tax exemption. He also advises tax-exempt organizations on nonprofit corporate governance and activity issues. Upon graduation from law school, Lance clerked for the Honorable Melvin S. Whitken, Presiding Judge of the Superior Court of New Jersey, Union County, and for the Honorable Rosemary Gambardella, Chief Judge of the U.S. Bankruptcy Court, District of New Jersey. Lance is a member of the Legal, Wealth and Tax Advisory Committee of the Community Foundation of New Jersey and the Gift Planning Council of the Make-a-Wish Foundation of New Jersey. 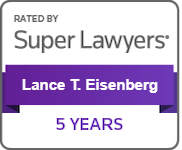 Lance has authored several articles on estate planning topics and lectures frequently to various business and professional organizations, including the New Jersey State Bar Association, the New Jersey Institute for Continuing Legal Education, the National Football League (NFL) Players Association, and the New York Jets.